Catering to the administrative needs of your small business. 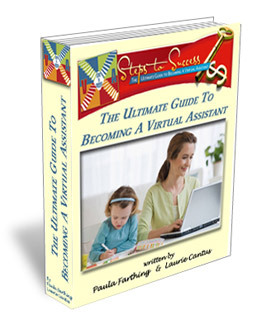 Want to learn how to become a Virtual Assistant? Check out my Virtual Assistant Training site for information on how to start your own Virtual Assistant business! Are you a small business owner that is struggling to keep up with everything and ready to maximize your earning potential this year? It's time for a Virtual Assistant! My name is Paula Farthing and I am a virtual assistant located in Irvine, California. My main goal in founding ADMIN at your SERVICE, LLC was to provide small business owners and busy executives with a resource that provides the administrative services necessary to free them to concentrate fully on tasks that will increase their revenue and grow their business. I am a professional virtual assistant that can help you take your business to the next level. But you don't have to take my word for it - see what my clients say about me. I've talked to many small business owners over the last couple of years here in Southern California and often hear them say that they can't afford an assistant because they are not at the income level that they think they should be. The reality is that they are actually losing a significant amount of earning potential by trying to do everything themselves. Let's face it, most of us create a business because we have a unique talent. The problem is that if you are not spending your time leveraging that unique talent you are losing money! If your unique talent is selling homes and you spend a few hours of your day updating listings, sending out mailings and taking interior photos of new properties how much is that costing you? While these things are all vital parts of the real estate business, they are not the activities that directly bring the agent revenue and they can all be delegated. Now think of this scenario in terms of your own business. What are you doing that you could delegate, and how much is doing it yourself costing you in terms of lost revenue? ADMIN at your SERVICE, LLC specializes in providing executive level administrative support from my fully equipped home office on an as needed or retainer basis. When you partner with me, you get top-notch support that gives you more time to contend with aspects of your business that only you can handle, while I attend to the tasks that you can delegate. Isn't it time that you got an assistant and started to realize your true earning potential? Call me today at (714) 389-5390 to get started! Are you looking for video based Virtual Assistant Training? Click here for info!